A small amount of shimming may be required at the top of the mount to provide a snug fit. Coaxial cable and PL-259 fittings are not supplied. Stainless steel anchor bolt and 3/8"-24 antenna mount hardware is supplied but not shown here. The coax on our larger mounts exits through the open side of the mount. Standard mount, unmodified, shown with anchor bolt installed. Sizes are also available most trucks. HF Hardware (not shown) mounts at top of mount block. Designed for any truck with stake pockets as short as 5.75”. Our standard HF mount is modified by cutting 0.5 inch off the bottom of the basic block. HF Hardware (not shown) mounts at top of mount block. Standard mount modified by removing 0.4" from the top and 0.1" from the bottom. 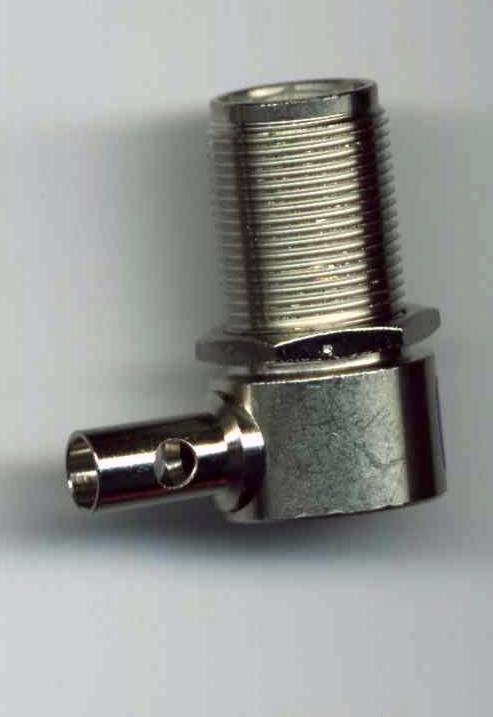 The specially machined SO-239 connector shown here is used on all 'VHF1' model mounts. The in-line SO-239 gives excellent SWR and low loss. TOP OF MOUNT = 0.20" THICK. Standard mount block , modified by removing 0.4" from top and 0.1" from bottom. The NMO connector gives good SWR and low loss up to 450 Mhz. Standard SO-239 Connector comes from the factory with coaxial sleeve on side of mount. Use this configuration, and route the coax out the front or back of the mount through any of several openings found in most stake pockets. EXCELLENT FOR LOOP ANTENNA MASTS WHEN USED WITH 3/8"-24 COUPLING NUT! ALSO WORKS GREAT WITH MINI-TARHEEL ANTENNA. Standard HF1 or HF2 mount, modified by installing a threaded 3/8"-24 adaptor at the top. Bolt is at ground potential. EXCELLENT for VHF/UHF LOOP ANTENNA MASTS (i.e.,KB6KQ Loop Antennas) . High strength Delrin. Use with any antenna coupler and a CB whip antenna. Comes with internal sainless steel threaded adaptors and hardware. Use with any GeoTool HF Mount or on user designed base .